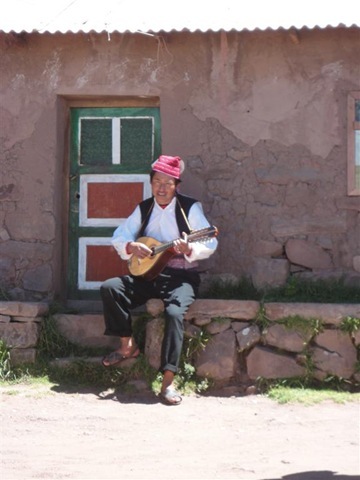 After an uneventful exit from Bolivia and entrance into Peru, we arrived late in the evening at Inkas Rest hostel in Puno, a town on the banks of the Peruvian part of Lake Titicaca. The owner, Alfredo, was super-friendly and directed us to a Chinese restaurant that would still be open at this late hour. We underestimated the size of the dinner and ended up with a huge selection of wanton soups and noodle courses. 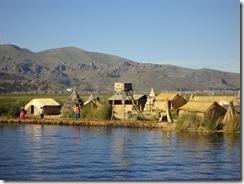 We were up early on the 11th to be picked up for our boat tour on Lake Titicaca. 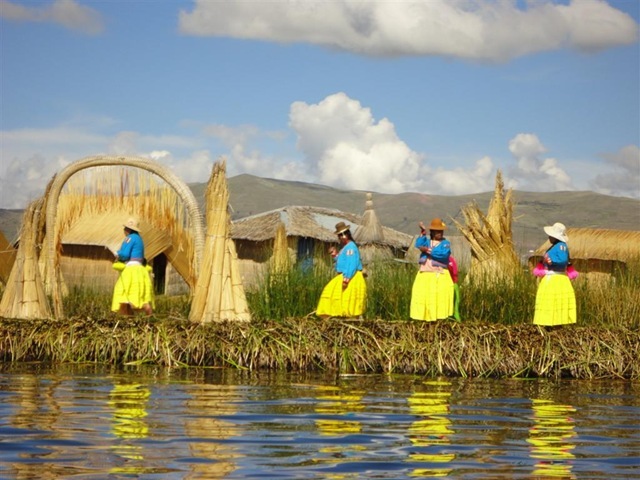 The first stop on the tour was a 20 minute sail away, The floating islands of Uro These are a community of people living on islands made from reeds dating back to before the time of the Incas. It was a bit of a tourist trap with a tour boat anchored beside each island. Once we were on ‘land’ we were shown how the islands are made and what life is like for the villagers. They were very friendly and it was an interesting stop but it all felt a little unreal. 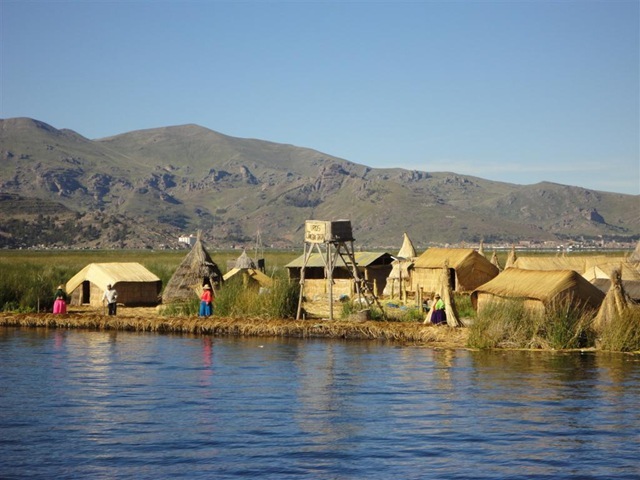 We were given a ride in a reed raft back to our boat and then spent a few hours sailing to the next destination, Isla Taquile. 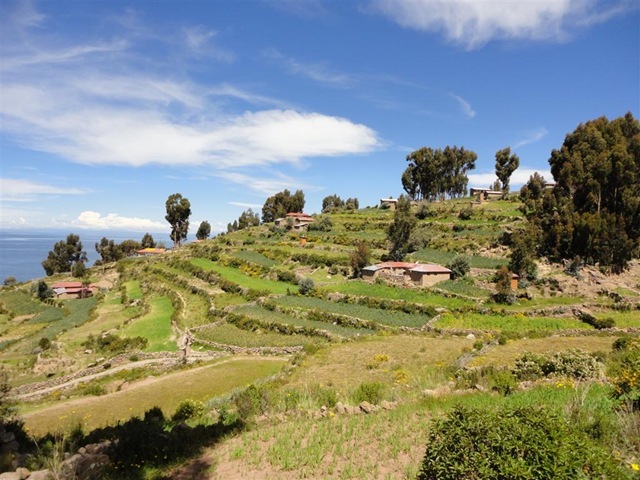 Taquile is a traditional Titicacan island and as with the Uros Islands, is very touristy. 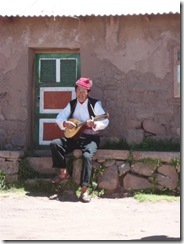 We had a walk up to a house for lunch where the gave us a demonstration of local dancing and served us lunch. Then we had an hour to look around the nondescript plaza. 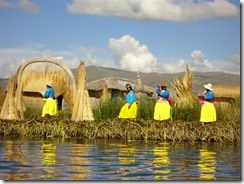 If you’d never seen island life on Lake Titicaca then it may have been interesting but I was quite bored with it. One good thing about the trip was the people we met while sunning ourselves on the top deck during the long journey to and from port. 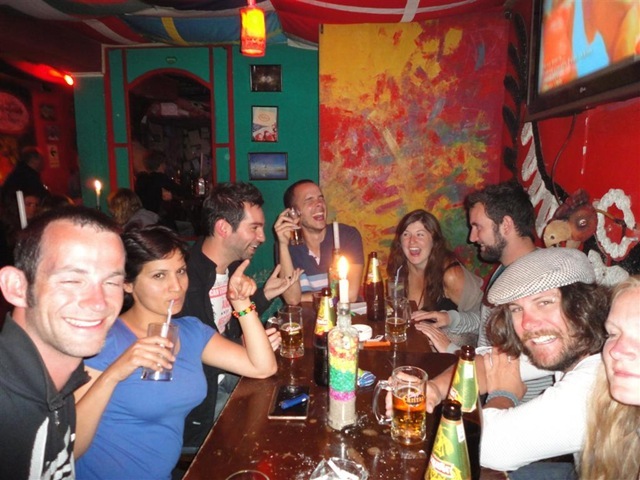 We met some of them (including Katie & Shaun and Shelley) in the Rock and Reggae bar in the centre of Puno after a dinner of Pizza and Pisco Sours. 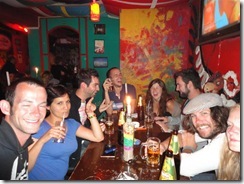 We rocked the bar for a good number of hours before heading home. On the way a guy ran past Shelley and grabbed her vintage cigarette case, disappearing quickly into the night. Presumably he thought it was her purse but he was out of luck, there weren’t even any cigarettes in it. 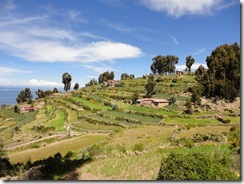 The next day we caught an 8am bus to Cuzco, leaving disappointing Puno behind. Though I’d seen floating Islands for the first time on my travels, the tour (which was well run and informative) destinations didn’t really do it for me. The town is also pretty underwhelming and I wouldn’t rush back. Not the greatest introduction to Peru, but the real sights are yet to come.